Thank you for your interest in becoming a foster with Saving Paws Rescue Arizona! Without our fosters, we would not be able to save nearly as many lives (to date, we’ve been able to rescue more than 1,000 dogs). Below we’ve listed important information about being a foster with us, followed by our online foster application. In order to provide foster care for us, you must also read and be prepared to sign the SPR Foster Agreement. Once your foster application has been submitted please be patient as all staff members are volunteers and are not compensated for their time and expenses; many juggle family and full-time careers while volunteering at Saving Paws Rescue. As a result, it may take up to 5 days to process an application. Thank you! What is the difference between a traditional foster and a Love For Life foster? Traditional fostering is when you are available to take in a puppy or adult dog and provide them a safe landing until they are adopted out to their forever home. Fosters get hands on involvement in the adoption process. 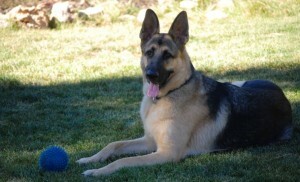 Since they know the dogs the best in most cases, we work with them and what they feel is the best fit. Depending on the dog, foster can be short-term or long-term. Love For Life is a unique program with Saving Paws Rescue Arizona. It was created when a need was identified for our long-timers to be placed in permanent, loving homes. Our goal is to save dogs that would likely be considered unadoptable and at high risk for euthanasia due to age, health or behavior. Dogs are placed in loving foster homes until their rehabilitation process is complete, or dependent upon circumstances, may remain in a forever foster home or the rescue center sanctuary. You can learn more about this special program on our Love For Life Program page. Do I have to live in the Phoenix-area to become a foster? Nope! We have fosters living in various parts of Arizona. As long as you are willing to bring the dog for meet and greets, as well as vet visits, that should not be a problem. Our Love For Life fosters can be further depending on the dog, as some of the dogs have medical needs and need to be close to our veterinary providers. How much would it cost me to become a foster? As a foster, you will not have to pay anything towards the cost of your foster dog. We will provide their food, medications (if needed) and cover the cost of their vet visits. We also support our fosters with other things they may need such as crates, beds and exercise pens. What type of support do you offer fosters? We are always available via phone should you ever have any questions or concerns. As a foster, we will also invite you to join a Facebook page dedicated solely for our fosters, adopters, volunteers and supporters. It is a fantastic resource should you ever have questions, or if you simply just want to share some photos of how your foster dog is doing (we love seeing the updates)! What if I have to go out of town while fostering? Not a problem! We will check to see if others are available to watch your foster. If no one is available, we will take the foster back at our sanctuary until you return. If you have a trip planned, please let us know as soon as possible so we can start planning accommodations.